The World Economic Forum and the Bahrain Economic Development Board are presenting the 100 most exciting start-ups of the Arab World. 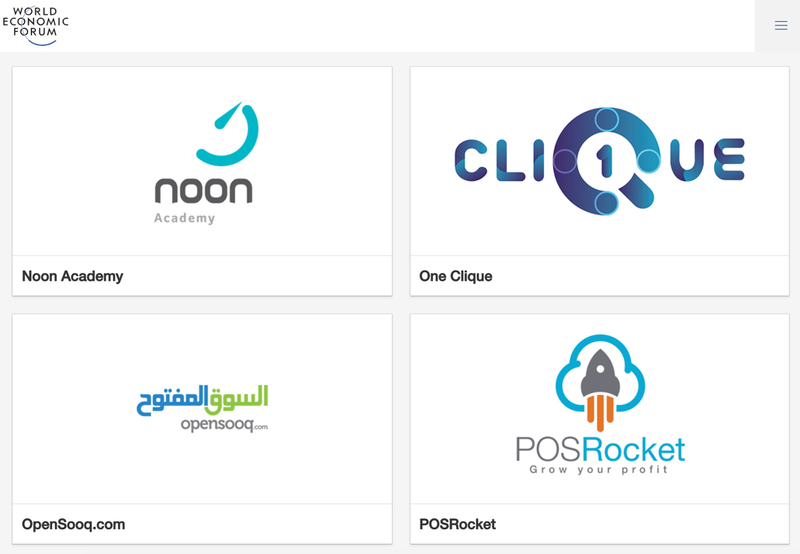 One of our portfolio startups, 1 Clique Systems, has been selected amongst the top 100 Arab Startups. Congratulations to Ayman and the team on the great work you guys are doing. The entrepreneurs will benefit from a tailored programme with industry and government leaders to discuss the future of their industries at the World Economic Forum on the Middle East and North Africa, on 6-7 April at the Dead Sea, Jordan. This initiative aims to further integrate the Arab world’s most promising start-up entrepreneurs into a national and regional dialogue on pressing challenges. Selected entrepreneurs will participate in the official programme of the upcoming World Economic Forum on the Middle East and North Africa where they will engage with industry and government leaders to discuss the future of their industries and how to add value to society.